“Mysteries and Truths in Black and White.” Review of History’s Shadow Publication. January 13, 2012. In History’s Shadow, it seems as if David Maisel is reviving the once-dormant souls of inanimate objects, if not those of their makers. 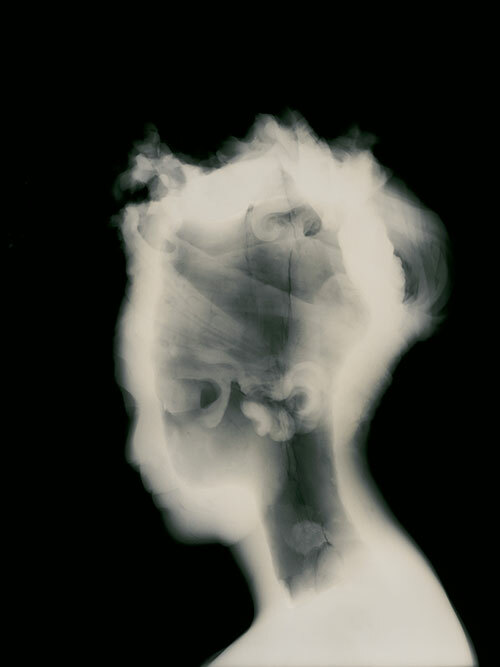 To alchemize these beautiful but disturbing images, Mr. Maisel rephotographed and manipulated conservation X-rays of three dimensional objects from two California museums. In so doing, he’s conjured revenants – of masks, sculpures, bowls ­– that, he says, represent a confluence of art, time, and technology. These images “make the invisible visible” and “express the shape-shifting nature of time itself,” Mr. Maisel writes in the afterward to the book, which includes a new short story in the tradition of Borges by Jonathan Lethem.